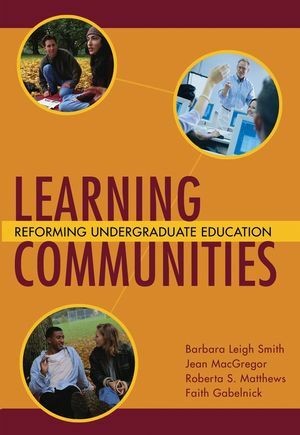 Learning Communities is a groundbreaking book that shows how learning communities (LCs) can be a flexible and effective approach to enhancing student learning, promoting curricular coherence, and revitalizing faculty. Written by Barbara Leigh Smith, Jean MacGregor, Roberta S. Matthews, and Faith Gabelnick¾acclaimed national leaders in the learning communities movement¾this important book provides the historical, conceptual, and philosophical context for LCs and clearly demonstrates that they can be a key element in institutional transformation. Barbara Leigh Smith is a Senior Scholar at the Washington Centerfor Improving the Quality of Undergraduate Education, an emeritusmember of the faculty, and former provost and vice president foracademic affairs at The Evergreen State College. Smith and JeanMacGregor are founders of the Washington Center for Improving theQuality of Undergraduate Education which has led learning communitydevelopment for twenty years. Jean MacGregor is a Senior Scholar at the Washington Center forImproving the Quality of Undergraduate Education and teaches in themaster of environmental studies program at The Evergreen StateCollege. Roberta S. Matthews is provost and vice president for academicaffairs and professor of English at Brooklyn College. Faith Gabelnick was president emerita of Pacific University,Forest Grove, Oregon, and president of Gabelnick ConsultingInstitute. PART ONE: The Contemporary and Historical Context ofLearning Communities. 1. Learning Communities and Undergraduate Education Reform. 2. Learning Community History: Education for What? Education forWhom? PART TWO: Learning Community Structures andPractices. 3. Learning Community Curricular Structures. 4. Core Practices in Learning Communities. PART THREE: Rich Arenas for Reform. 5. General Education, the First Year of College, and LearningCommunities. 6. Success for All: Learning Communities in Basic Skills andEnglish as a Second Language Settings. PART FOUR: Initiating and Strengthening LearningCommunities. 7. Information and Feedback: Using Assessment to Strengthen andSustain Learning Communities. 8. Recruiting and Supporting Learning Community Teachers. 9. Initiating and Sustaining Learning Communities. 10. The Future of Learning Communities. "...is a superb resource of ideas and experiences worthy ofbeing examined at length." (The Midwest Book Review)"Every college teacher should read this comprehensive andinsightful analysis of one of the most important pedagogicalmovements in contemporary higher education." 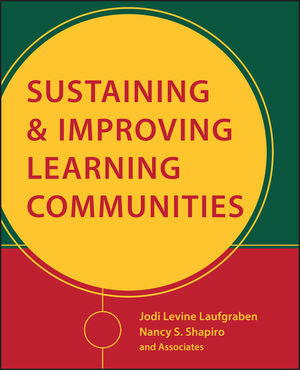 "An essential resource for anyone interested in learningcommunities by the leaders in the field. Framed by years ofexperience, the authors provide invaluable insights into how onebegins, sustains, and improves learning communities on both two-and four-year campuses. A must-read." "Conceptual and practical, comprehensive and illustrative.This magnificent volume proves the learning communities movementhas come of age." "This book contains a wealth of information, not onlyabout learning communities, but about the efforts of highereducation to improve learning through actively engaging students inthe process."